Stephanie of Toronto, Ontario was a guest at the October 2015 Perfect Health Retreat. Stephanie kindly authorized us to share this email discussing her experience at the retreat. 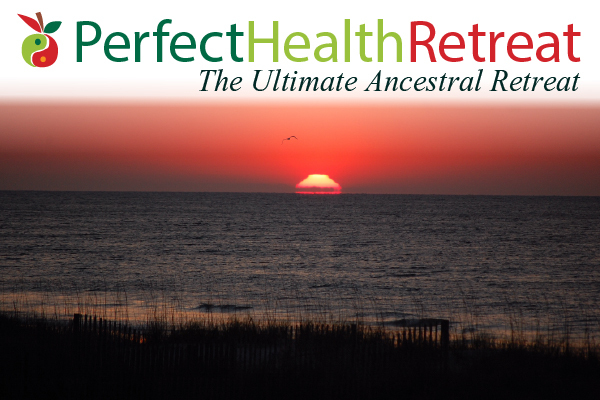 I wanted to thank you for the wonderful experience I had at the Perfect Health Retreat a couple of weeks ago. This was honestly the most relaxing vacation I’ve ever had. Usually I need a day to “recover” from my vacations because they’re usually full of lack of sleep and poor food! I’ve been working at incorporating more of the PHD recommendations into my life. One of the first things I did was make liver paté – Shou-Ching’s recipe is so delicious! I gave some to my fiancée who claims to really dislike liver, and he actually liked it! He was so surprised and now has to revise his opinion on liver. I’m really thankful for the experience I had. The retreat was fun, relaxing, and so informative. 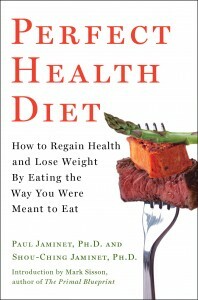 The cooking tips and tricks, the science classes with diet and lifestyle advice, putting all of it into play, and the exercise classes. It is hard to say what was the highlight! Jae’s personal assessment was so helpful for me. He identified issues that I think I’ve had almost my whole life. During the assessment and afterwards, he had me do a few exercises which brought me from a chronically tense state to a relaxed state – and all the exercises did was change my pelvic alignment! The result is amazing. For the first time that I can remember, I was able to completely relax. I finally understood what feeling “grounded” was like, what it is like to feel your body being supported from your heels to your head. It also relaxed my chronically tense shoulders and I haven’t back pain since. I’m also excited about incorporating the exercises we did in the exercise classes. I wish I had Jae, Court, or Danny here as a personal trainer but I suppose I’ll have to make do with my memory 🙂 However, I have to say that doing morning movement in my apartment is nowhere near as nice as on the beach with the porpoises playing in the waves! Another aspect of the retreat that surprised me was how relaxing the red lights were. My first morning away from the retreat, I woke up, switched on the regular lights, and immediately tensed up. I am shocked at how much stress the regular lights have on my body in the morning. I already have one small lamp with a red light at home but plan on going out tonight to buy more. I think these will help me lower my stress levels and help me sleep better. My food since I’ve come home has been so good! I realized while I was at the retreat that I was being too restrictive with my diet at home and needed to incorporate more variety. I feel like I’ve been feasting since then! Each meal is so tasty. Also, incorporating 3 egg yolks a day into my diet has helped so much with my blood sugar levels and hunger. Also, my time at the retreat helped me get used to daily intermittent fasting and I’ve been doing quite well with my fasting since then. The main improvement I saw while I was at the retreat was with my acne rosacea. A few people commented on Friday at how much better it looked after only one week. My face is continuing to slowly improve. It’s not dramatic but I have way less new bumps. The old spots will take some time to heal and I feel that with time, I’ll have my nice, clear skin back… permanently! 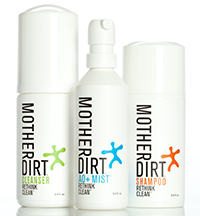 I think the AOBiome “Mother Dirt” mist is really helping it clear up from the outside but that my diet and lifestyle will help it heal from the inside. I still have to get my red lights, do more exercise, and make myself fermented veggies. However, I feel like I have the tools to help me heal my body and make me as healthy as possible. I am so happy to have had this opportunity and want to thank the two of you for using your knowledge to help others like me. I feel like with this knowledge I can avoid the suite of medical conditions that my older family members are burdened with. Thank you so much. I hope you’re doing well too! I’m still keeping up with PhD and I’m continuing to see improvements! I find some parts of PhD are easier to maintain than other parts. I love eating so I have no problem eating PhD most of the time (so delicious!) but have more issues exercising regularly. I hope you’re keeping up with PhD and seeing some help from it! So nice to hear from you!